The graphic above (from the Los Angeles Times, Google Earth, and the California Dept. of Water Resources) succinctly explains the serious problem unfolding right now at Oroville Dam on the Feather River. The lake is the second largest reservoir in California backed behind the highest dam in the United States. It is very close to capacity, but the main relief valve, the spillway, has been severely damaged and is essentially crippled. Without the spillway, the operators have only two choices to get rid of the rapidly rising floodwaters. 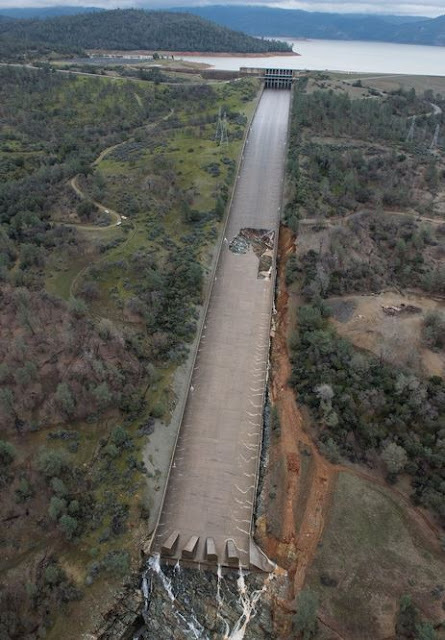 They could let the floodwaters flow over the top of the dam itself, or they open a second emergency spillway. The first choice is unthinkable. The structure is an earthen-fill dam, made up of a core of impermeable clay covered by other sediments and rock material. If floodwaters top the dam, they would easily cut through the loose material, and the dam could fail. Such a failure would be a catastrophe without precedent. The instantaneous release of more than 3 million acre-feet into the Sacramento River system would be a flood of Biblical proportions. Sacramento and other towns would be inundated, threatening the lives of hundreds of thousands of people. The water delivery system for California would be crippled for years or decades. Postscript: Darn it, I wasn't thinking right. The emergency spillways are below the level of the dam by 20 feet, so this is unlikely to happen, at least due to flooding. It just made such vivid narrative. Thanks jfmiller for the clarification (see comments below). So that is not going to happen. The second choice is magnitudes less catastrophic, but would still be a problem. The emergency spillway would flow across slopes and hillsides that have never been exposed to fast-moving floodwaters. Trees, rocks, and mud will pour into the river downstream, complicating efforts to prevent flooding and levee breaches downstream. We'll see where this situation resolves over the next few days. But I couldn't help but be reminded of two historical events involving dams and reservoirs that put a spotlight on the choices we've made to build such titanic structures to serve the needs of our society: Don Pedro Reservoir in 1997, and Glen Canyon Dam in 1983. We tend to think of these huge structures as monuments to our creativity, power, and control over nature (it's an entirely different issue that I almost wrote "man's control over mother nature", which sounds very patriarchal or chauvinistic). The fact remains though, that we sometimes have flaws in our thinking and planning. 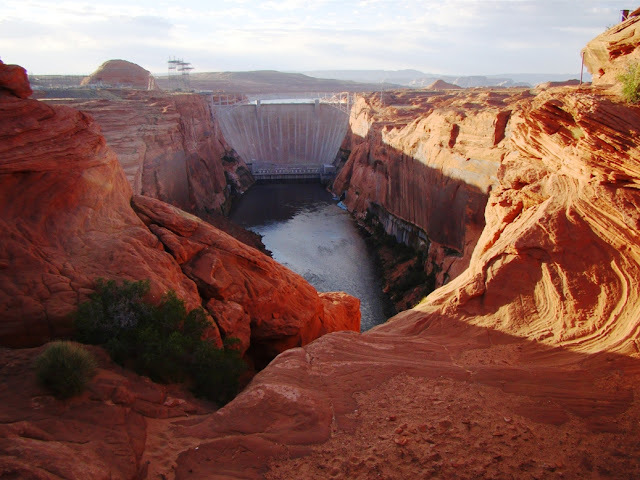 Let's take Glen Canyon as an epic example. 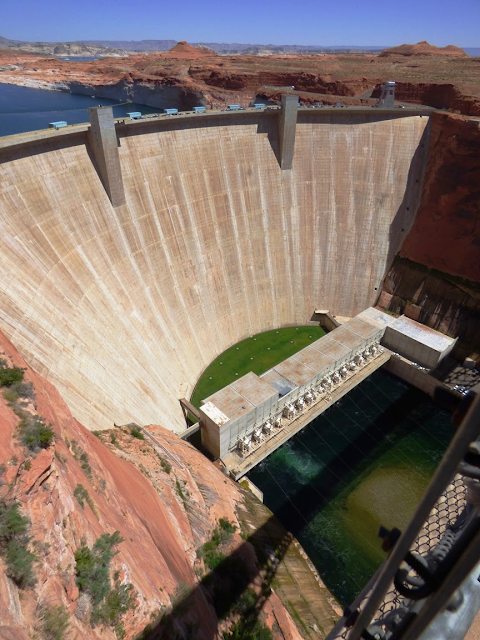 Glen Canyon Dam was built between 1957-1964. It is 710 feet high (216 m) and 1,560 feet (475 m) wide, with a volume of 5,370,000 cubic yards (4,110,000 cubic meters) of concrete. 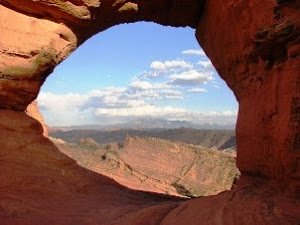 It is anchored in Navajo Sandstone. When full the lake is 186 miles (299 km) long, with 1,960 miles (3,150 km) of shoreline, and a total capacity of 26.2 million acre feet (equivalent of two years of the average flow of the Colorado River). 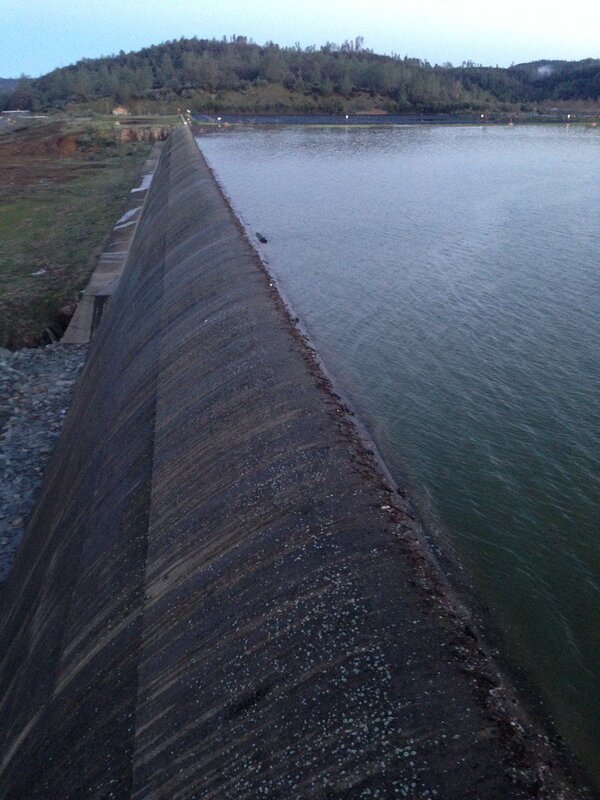 The main thing to notice about the picture above is that the dam has no spillway. It...has...no...spillway. If water ever came over the top of the dam, the floodwaters could destroy the power generators below, possibly "pulling the bath plug" on the dam. The sandstone that anchors the dam is relatively easy to erode, so such an event could threaten the very stability of the dam itself. That not to say the operators have no way to deal with floods. When they built the dam, the Colorado River was diverted through tunnels in the cliffs around the dam site. The tunnels were adapted into an underground spillway within the cliffs. 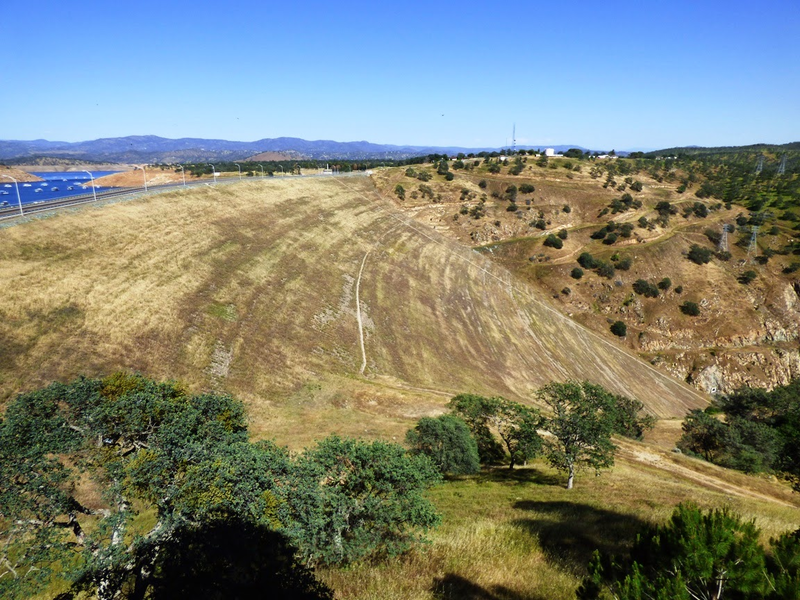 When floodwaters threatened to fill the reservoir, they would simply open the spillways and millions of gallons of water would shoot out of the cliffs at the base of the dam. Which brings us to the events of 1983. Wait a second...why is there a dam made of plywood here? After construction was completed in 1964, the lake slowly filled (since water use downstream did not cease, only surplus water was used to fill the lake) and did not reach capacity until 1980. In 1983, the dam came perilously close to failing due to a major flood and design errors. An unexpectedly warm and wet storm caused a tremendous flood upstream of the nearly full Lake Powell. 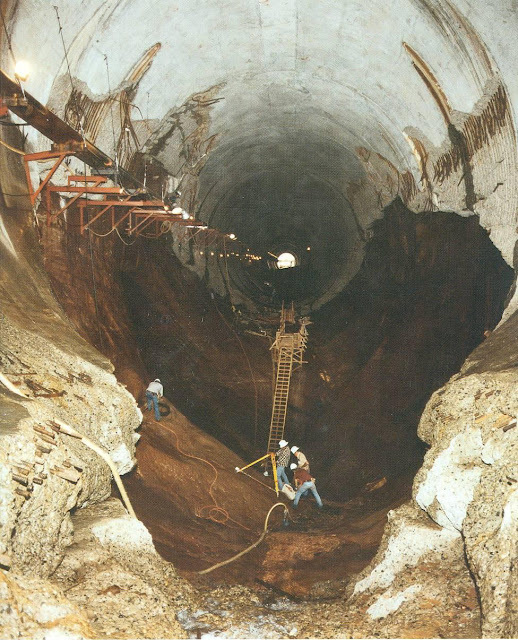 To prepare for the huge influx of water, the dam engineers opened up the underground spillways for the first time. They proved woefully inadequate to the task as cavitation caused the walls of the diversion tunnels to rip out. In places the powerful flow of water cut 32 feet (10 meters) into the soft Navajo Sandstone and threatened the structural integrity of the dam itself. People working within the dam reported rumblings and vibrations that simply shouldn't have been happening. The diversion tunnels had to be shut down, and the lake threatened to flow over the crest of the dam in an uncontrolled fashion. As noted above, this could have led to catastrophe, as such uncontrolled flow could have eroded and weakened the sandstone abutments of the dam. Failure of Glen Canyon dam would have led to the domino-like destruction of other large dams downstream, and the decimation of the water-supply infrastructure of some thirty million people. 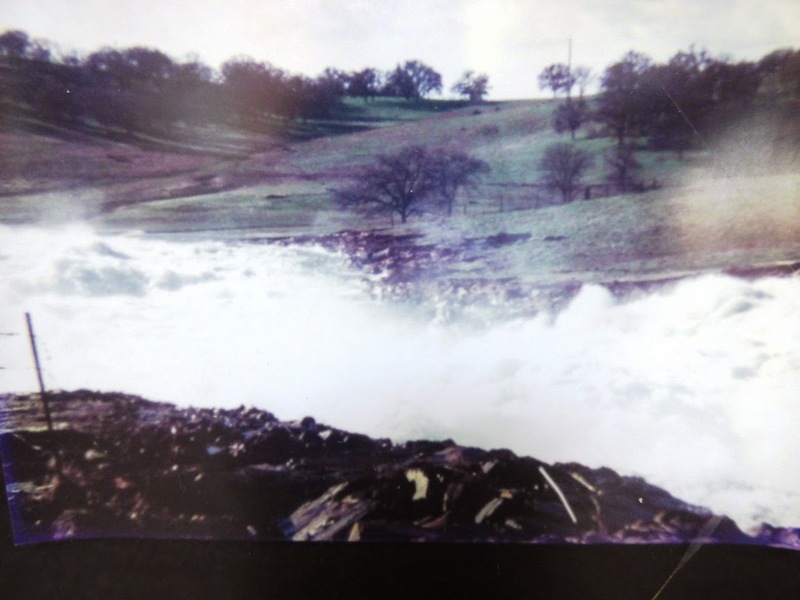 The disaster was averted by the construction of an 8 foot high dam of wood flashboards that held back the water long enough for the flood to subside (see the picture above). 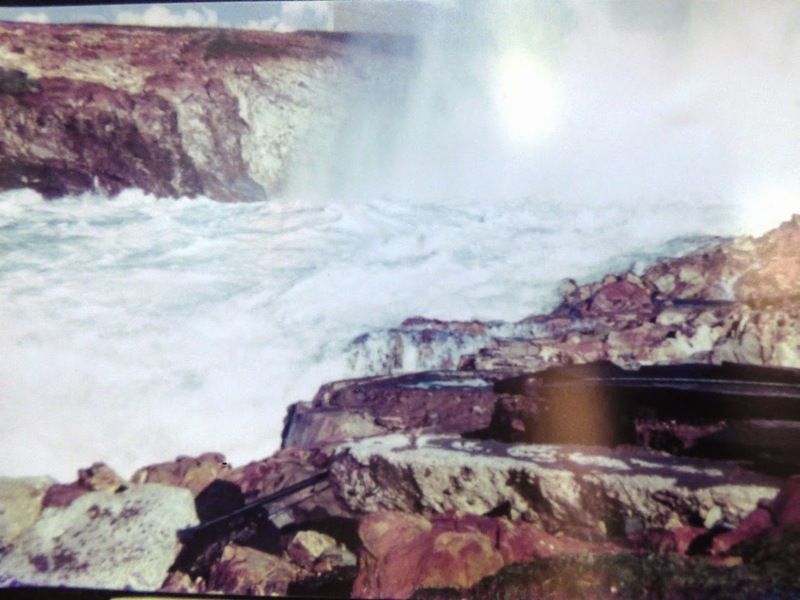 The structural integrity and survival of the dam came down to less than a foot...the distance between the water level and the top of the flashboard dam in 1983. That is what came to mind as I saw pictures of the Oroville spillway yesterday. The other echo of the past was the need to open up the spillway onto new ground. Something very similar happened at Don Pedro during the floods of 1997 (and if the narrative below seems familiar, yes, I used it a couple of weeks ago as an introduction to the coming atmospheric river storms. I'm revisiting the story because of the similarity of events at Oroville Dam). Don Pedro Reservoir on the Tuolumne River stores water for the Modesto and Turlock Irrigation Districts, and also serves as storage for Hetch Hetchy Reservoir water bound for San Francisco. The earth-fill dam stands 580 feet high and inundates 26 miles of the Tuolumne River, which flows out of Yosemite National Park. It stores just over 2 million acre-feet of water. The dam was built for irrigation storage, hydroelectric power generation, and recreation. And flood control. The water year of 1996-1997 was unusual, but unfortunately familiar given the events of the last month in California. A series of large storms in December had built up a record or near-record snowpack in the Yosemite high country. Then a New Years Day Pineapple Express storm took aim at central California. The warm, moist atmospheric river flowed over the Central Valley dropping only a few inches of rain, but when it hit the mountains, it poured as much as three feet of rain at elevations as high as 10,000 feet and onto the record snowpack. Don Pedro Reservoir was at the proper level for normal flash flood conditions, with about 300,000 acre feet of storage available. But the water coming downstream was not normal. 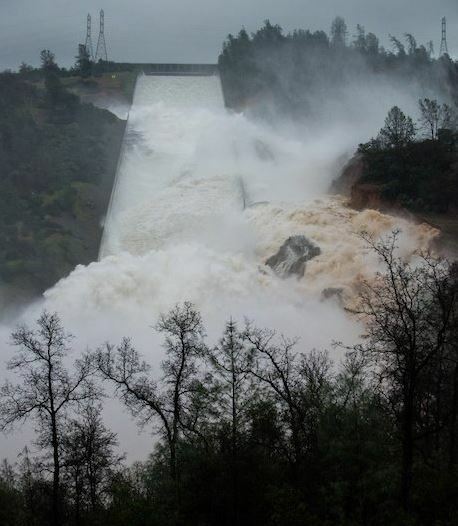 At the peak, the rivers flowed into the lake at an unbelievable rate of 130,000 cubic feet per second (the Feather River, by the way, reached about 170,000 cubic feet per second this week). To put this number into perspective, the Tuolumne River is considered to be at flood stage at 9,000 cubic feet per second. The dam operators had a big problem and they knew it. They had to purposely flood the cities downstream to prevent a total catastrophe. 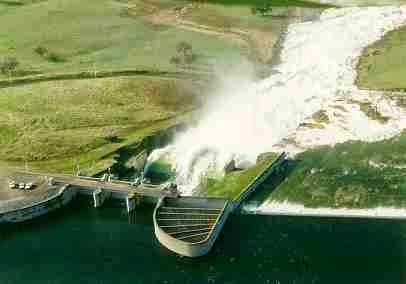 They ramped up the power generating turbines, and for the first time in the dam's history, they opened the floodgate. The floodgate didn't open into the Tuolumne River. It faced a meadow that had never before had a river flowing through. As can be seen from the pictures here, the meadow was hit by a flood of gigantic proportions. Ripping away soil and solid rock, the river quarried a channel forty feet deep in the space of three days. And it barely worked. At the highest point, the reservoir was flowing uncontrolled over a concrete weir that was the never supposed to be topped. 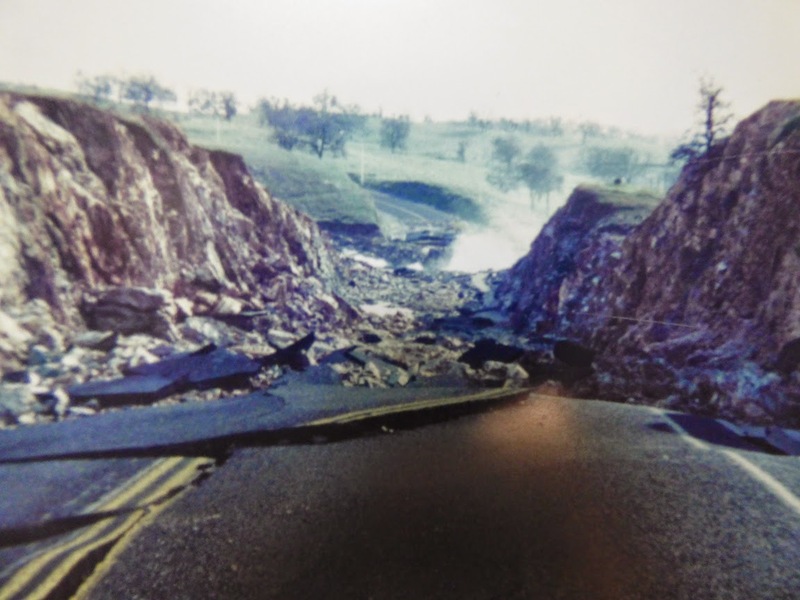 The water was only a foot deep, but spread out over several hundred feet, it ripped away soil, rock, and the highway that passed below the floodgates. The city of Modesto and others downstream experienced the greatest flood in their history, with top flows of around 60.000-70,000 cubic feet per second. But if Don Pedro Dam had not been there, the towns would have been hit with a flood twice as big. Only one flood in recorded history could possible compare with 1997. That was the flood of 1861-62, which was so large that parts of the Great Valley turned into a lake for weeks. Sacramento was abandoned as the state capitol for months while the waters subsided. No gauges were present on any of the rivers so we don't know how the numbers compare, but considering that 1997 was considered a 250 year flood (a 1/250 chance of occurring in any one year), it must have been truly extraordinary. And in the last month, only twenty years later, we seem to have reached a similar level of flooding on many of our rivers in California. 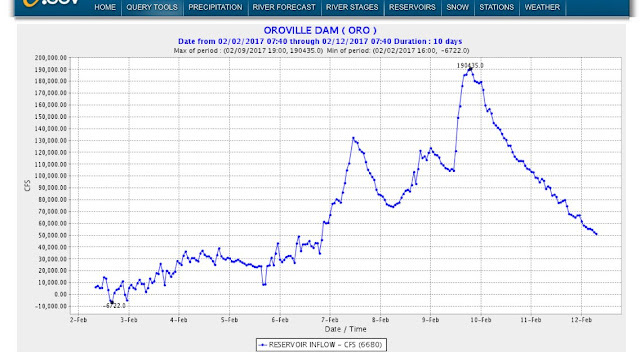 And that's the way it is with Oroville Dam today. With a dam and a river that is larger than the Tuolumne. I can't imagine the stress levels of those who are dealing with the situation as they try to navigate their way between undesirable choices. Since we have chosen to live together as a society in numbers totaling millions of people, we have to make many choices about how much we alter and change the landscape that supports us. Our basic needs of water, food and shelter have to be provided on a massive scale, but the infrastructure at such kinds of scale also have the potential to fail at equally high magnitude. Politicians are fond of keeping taxes low and complain endlessly about "burdensome" regulations and guidelines. They cut the budgets of agencies who provide the expertise that can allow us to avoid catastrophes. When they do this, they are setting up conditions for failure on an astronomic scale. So who will we blame in the end? I wish the operators of Oroville Dam all the best. I assume they are talented at what they do and that they will be making the best possible decisions in coming days. I also hope that those who represent us in the halls of government will gain some kind of insight about the best ways to care for and improve the infrastructure that supports and protects us all. I hope, but I'm not all that optimistic, seeing the disdain that those in power right now hold for science and knowledge. POSTSCRIPT: The incoming flow has declined to 120,000 cfs, with 65,000 cfs outflow. 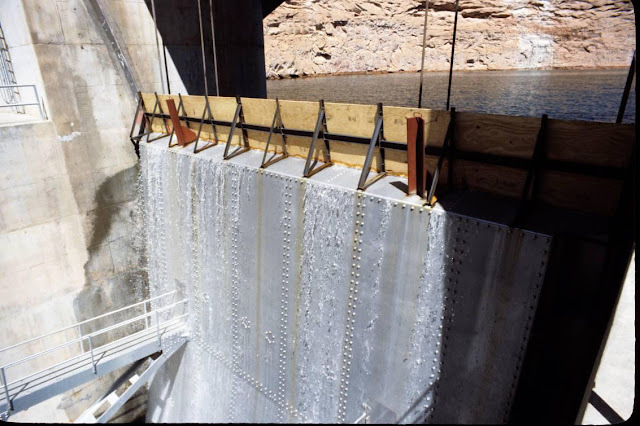 If it continues to drop, the operators might not need to use the emergency spillway. The incoming flow at 8 AM is 89,276 cubic feet per second, the outflow is 55,092 cfs. The lake is still rising, with less than 2 inches of clearance before water flows through the spillway. 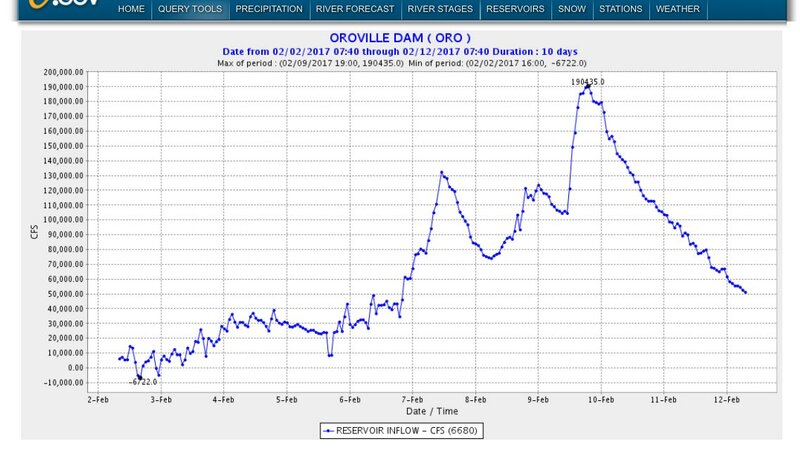 POSTSCRIPT (2/12/17): The inflow to Oroville Reservoir is finally dropping below the outflow, so the lake level can start dropping (hopefully enough to deal with the next storm in five days). POSTSCRIPT (2/12/17, 6:45 PM): Gee whiz, things were quiet, so I went birding for a few hours and all hell broke loose while I was gone. First, if you are in the Oroville area, take the official announcements seriously and follow evacuation orders without delay. It's got to be serious if they take a step like that. 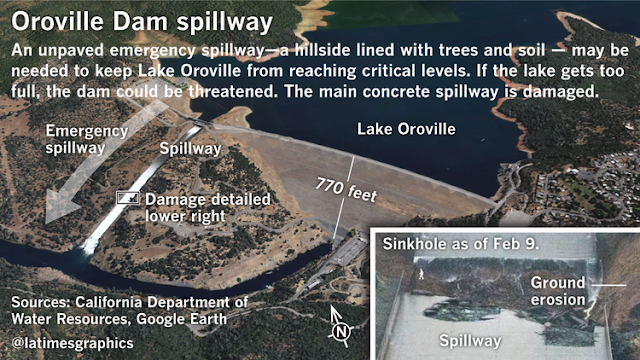 In any case, the auxiliary spillway is in imminent danger of failing. If it does so, lake water would be surging over bedrock in an uncontrolled manner. 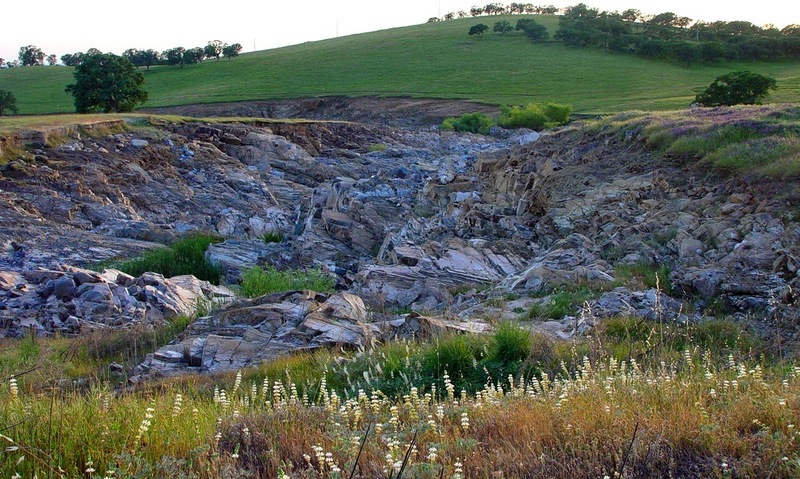 It depends what kind of bedrock there is (I'm working on that), since the rapid flows could erode the rock channel downward (as happened at Don Pedro in 1997) which could then lead to higher flows and flooding downstream. It sounds like the operators increased flow on the other damaged spillway, so that the flow over the auxiliary spillway is down to 2 inches, rather than the 1 1/2-2 feet. That takes a lot of pressure off the auxiliary spillway, and offers hopes for some kind of repairs before the next storm hits. Point of clarification, the emergency spillway is just a concrete wall some 20 feet lower than the top of the dam. It is not opened, water simply flows over the wall once the lake exceeds capacity. It is not physically possible for water to over top the dam itself. Thanks for the clarification, I basically knew that about Don Pedro, and makes sense for all such dams. I'll correct the sentences. 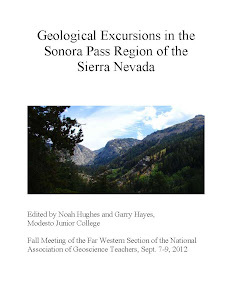 A quote summarizing the gorge and discoveries made from it:"But because many of the geological formations of Canyon Lake Gorge are virtually indistinguishable from other formations which have been attributed to long term (slower) processes, the data collected from Canyon Lake Gorge lends further credence to the hypothesis that some of the most spectacular canyons on Earth may have been carved rapidly during ancient megaflood events. Additionally, because the flood conditions under which the gorge was formed are known, Canyon Lake Gorge provides a means of developing improved computer model reconstructions of pre-historic floods to determine water volume, flood duration and erosion rates." I've been to Canyon Lake Reservoir. Much of that area (Hill Country) is underlain by Mesozoic limestone that hosts a huge aquifer system. Edwards Aquifer. I'm certainly no expert on that area but it seems more likely that the deep canyons are the result of dissolution rather than "megafloods." Whups, I took a closer look at the Wiki article. My comment about Canyon Lake may not be applicable in this case. I love you geo-nerds. I've never heard of canyon lake before but thanks for introducing me.